If we take a look at the British Isles, we can see that there is a difference between Irish polytheism and Welsh polytheism; even if the people are both of Celtic origin and they live in a close proximity. Same thing can apply to Slavic people. 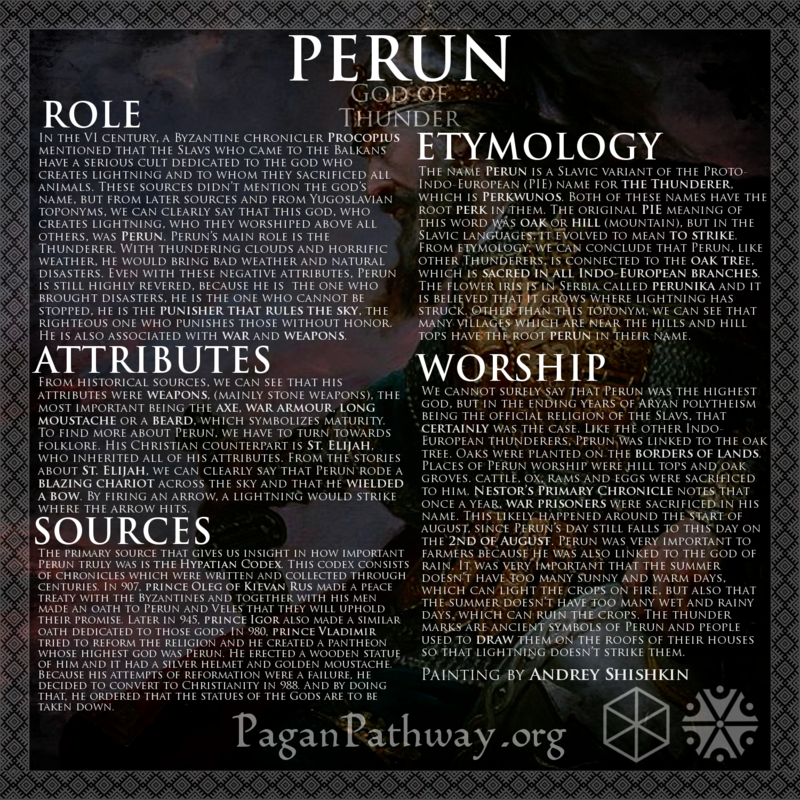 Even though some deities are of pan-Slavic origin, others were introduced separately, due to political or geographical reasons; some names were changed, etc... Thanks to sources and folklore, we can try pinpointing which parts of Slavdom worshiped which deities, under which name. For starters, I and my wonderful team decided to introduce to you what I like to call the Late Kievan Pantheon. According to Nestor’s Primary Chronicle, upon becoming the Grand Prince of Kievan Rus, Prince Vladimir, also known as Vladimir the Great tried to reform Slavic polytheism practiced in his region and in the year 980, he placed six statues in front of his palace and one in the city near the market. These statues were idols dedicated to the seven Gods he included in his pantheon. They include Perun, Hors, Dazhbog, Stribog, Simargl, Mokosh and Veles. The God who had the leading role in Vladimir's pantheon was Perun the Thunderer. 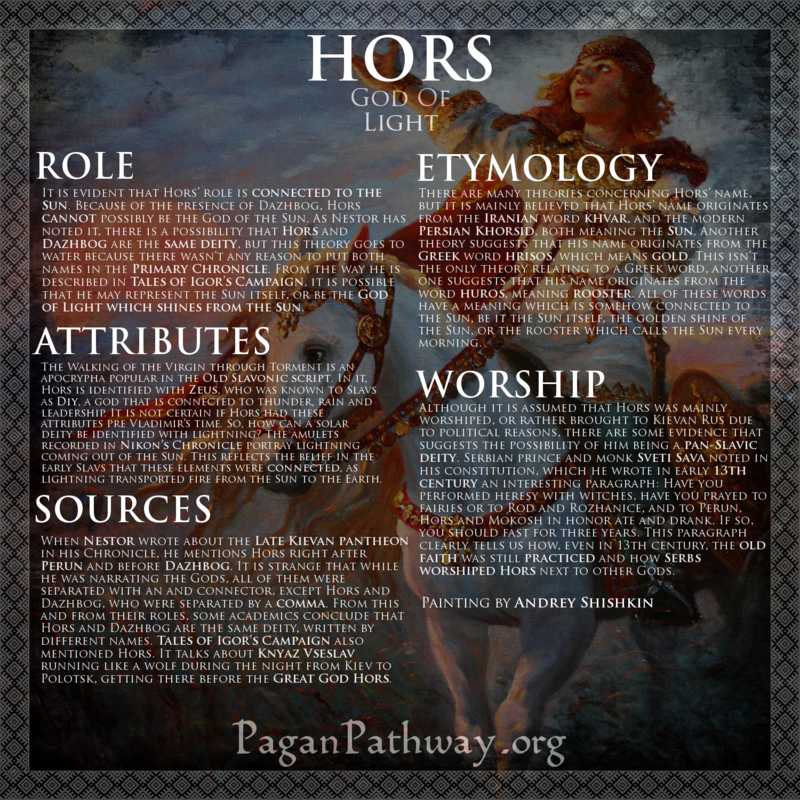 Next mentioned deity in the Primary Chronicle is Hors. 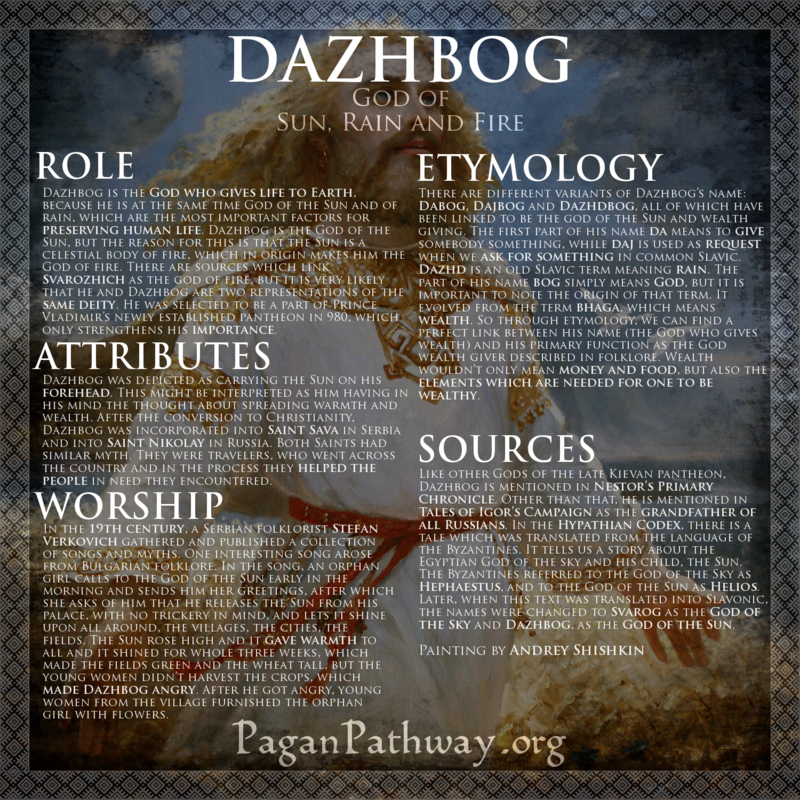 Following him we have another solar deity, Dazhbog the Giver. 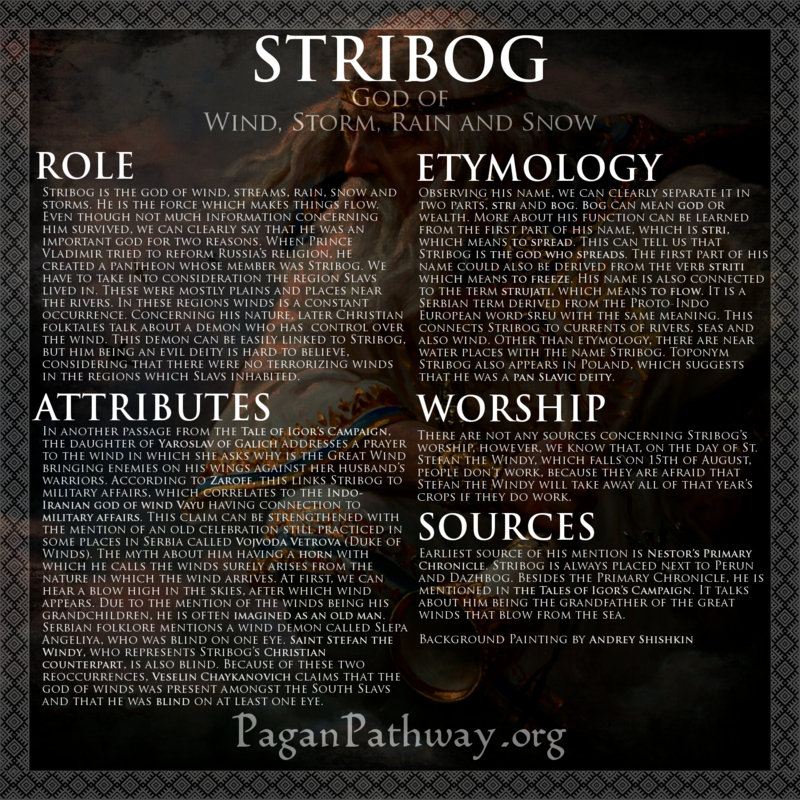 After Dazhbog, the great grandfather of winds, Stribog, is mentioned. 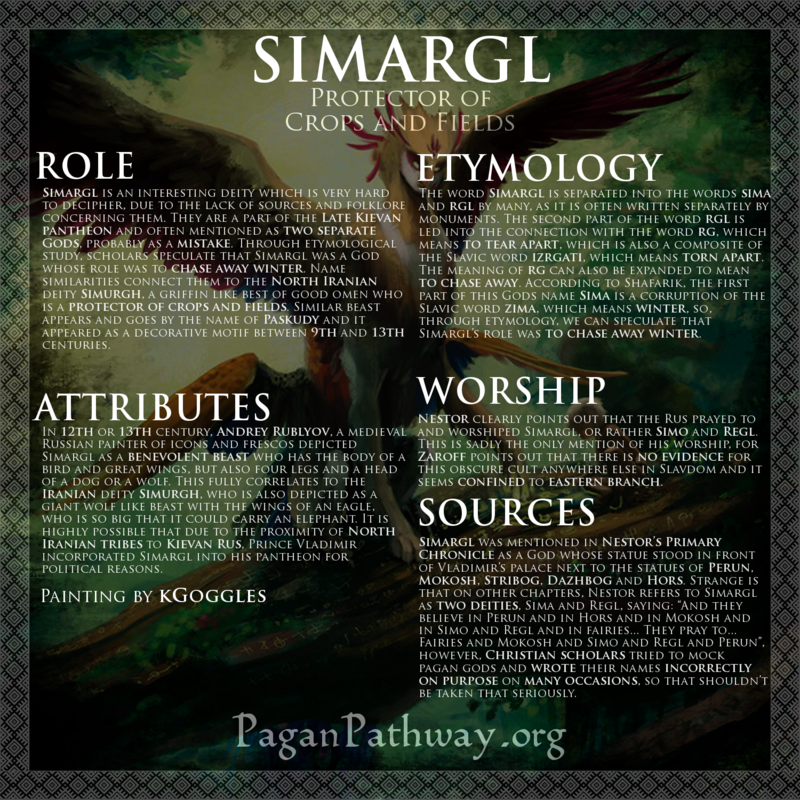 Simargl, a very mysterious deity of questionable origin comes next. 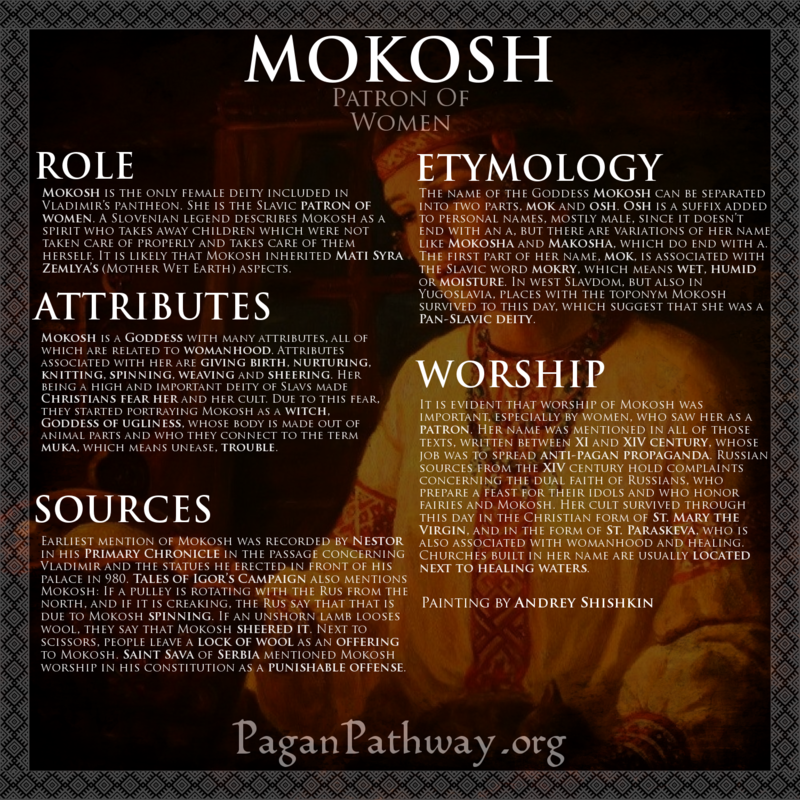 Lady Mokosh, patron of women stands next to her male kinsmen. 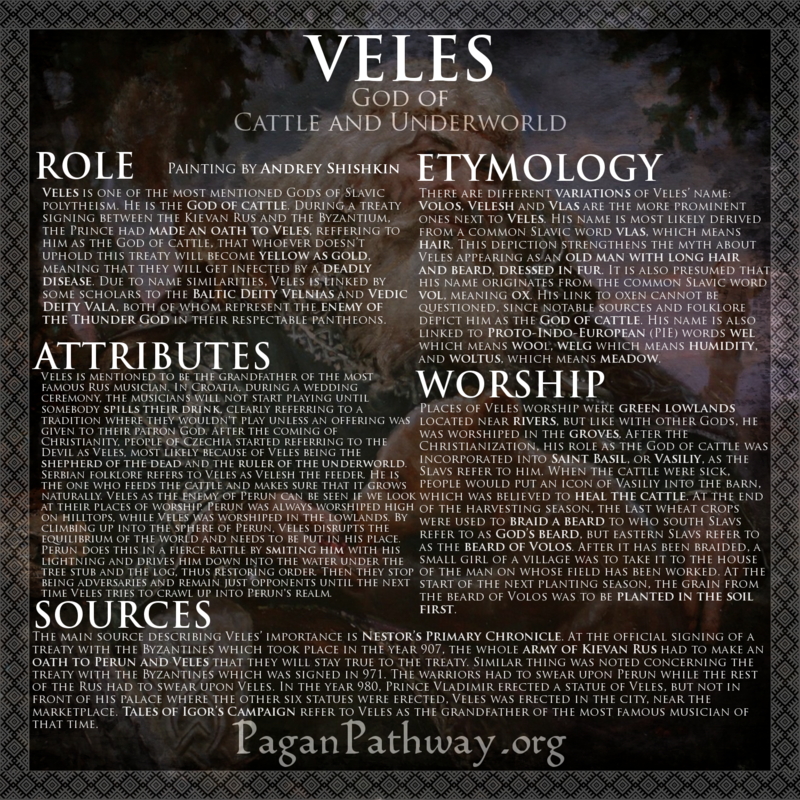 Veles, the deity of great importance and high controversy stands alone in the city, separated from the rest. Special thanks to M. A. M. for being a constant support and for helping with the information gathering! Roman Zaroff, Organized Pagan Cult in Kievan Rus'. The Invention of Royal Elite or Evolution of Local Tradition?